It’s been ages since the “incident” that estranged former best friends Adam and Thomas, and Adam has long since decided he’s better off, even if his own life hasn’t exactly turned out as planned. Ten years after the two friends spoke their last words, Adam is working as a tutor, sleeping with the mother of a student, and spending most of his nights looking up his ex-girlfriend on Facebook. But when he receives an email from Thomas’s mother begging for his help, he finds himself drawn back into his old friend’s world. Thomas hasn’t been doing well, and now he’s disappeared while traveling in India. As Adam embarks upon a magnificently strange and unlikely journey, Ben Dolnick unspools a tale of friendship, spiritual reckoning, and redemption. 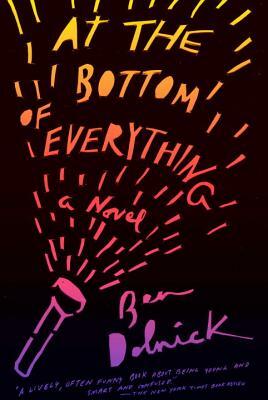 Ben Dolnick is the author of the novels You Know Who You Are and Zoology, and his work has appeared in The New York Times and on NPR. He lives in Brooklyn with his wife.